Head over to TastyBites website where they are giving free packs of seeds so you can grow your very own organic spinach. Just follow our link and order your free pack today and start growing. Click GET FREEBIE button to visit TastyBite website now and order free packet of spinach seeds. If you are into gardening then you would love to get this freebie as you can get a free Gardener’s Idea book. Follow our link and signup with your details to receive this book. Click GET FREEBIE button and then order your free book today. You can get a free sample pack of Chocolate Rose Protein so hurry up and get yours right away. Follow our link, click Checkout button and supply them with your shipping details to get it delivered to you. Click GET FREEBIE button and then order your free sample today. 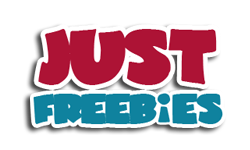 Growmazing is giving away free samples of their Insecta-Pro and Fungo-Pro so if you are into gardening then you should definitely try out these products. Follow our link and fill up the form with your details to receive yours. Click GET FREEBIE button and then order your free sample today. You can get yourself a free sample Martian Gardening kit so you can grow your very own plants. Follow our link and supply them with your shipping details and they will send this sample kit right at your doorsteps. Click GET FREEBIE button and then order your free garden kit today. You have a chance to get your hands on a free leaf Blower from Bolens. Follow our link, signup and then take a survey for a chance to receive this product for free. Click GET FREEBIE button and then signup for a chance to win this leaf blower from Bolens. You can get a free Butterfly Garden Starter Kit so you can build your very own butterfly garden. To get this kit, follow our link and supply them with your postal details and they will deliver it to you. Click GET FREEBIE button and fill up the form right away to receive the starter kit. Apply Responsibly company is giving away free packs of stickers when you take a small quiz. Just take the small multi-choice quiz and then supply your details to get a free pack of gardening stickers. Click GET FREEBIE button and then get your free pack of gardening stickers by taking a small quiz.